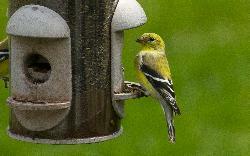 Photo of an American Goldfinch at feeder in Ontario. 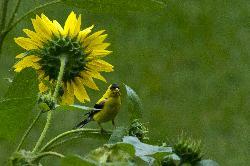 American Goldfinch perched on a sunflower. American Red Squirrel front view. 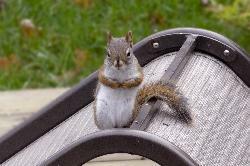 Front view of an American Red Squirrel, perched on patio chair. 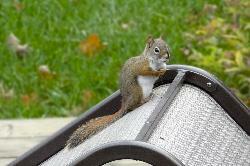 American Red Squirrel on patio chair. An American Red Squirrel feeding on sunflower seeds in late October, Ontario Canada. Scenic view of Barrie from the parking lot of Lowes Store. Barrie City Hall and beach front condos can be seen from this view. This land is now built upon, and you can not see the Georgian Mall from St. Vincent street any more. Scanned from a negative. 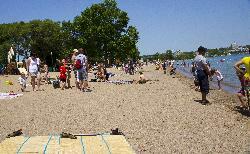 An in camera stitched panoramic photo of the Centennial Beach skyline in Barrie, Ontario. View of Centennial Beach in Barrie. Looking in a northerly direction. 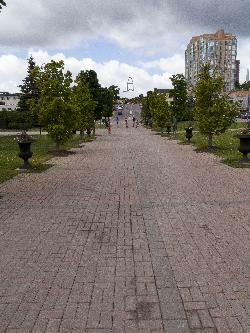 Scenic view up Mulcaster Street in Barrie from Heritage Park. Barrie water front and city hall, taken from across Kempenfelt Bay during the summer of 1999. Scanned from a negative. Welcome sign for Barrie Ontario. Taken on highway 400, near the Duckworth exit. Black and Yellow Garden Spider with captured prey. 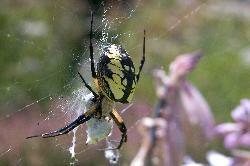 Photo of a female Argiope Aurantia. 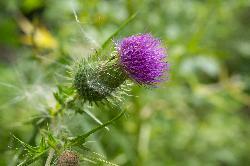 Is commonly known Black and Yellow Garden Spider. Photo taken from the back yard. Black squirel gathering sunflower seeds. Photo of a black squirrel looking for sunflower seeds on a deck. Black squirrel standing on deck. 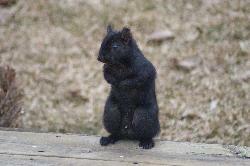 Photo of black squirrel standing on deck. 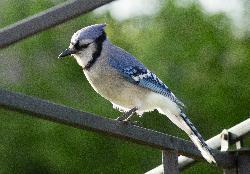 Photo of Blue Jay on perch in Ontario. A female brown-headed cowbird at feeder, with seed in beak. 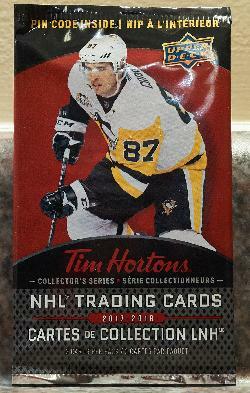 Located in Ontario Canada. Both a male and female brown-headed cowbird at feeder. 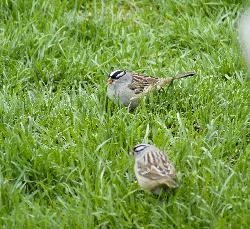 In Ontario Canada.